Hair loss is an issue that affects a large proportion of the U.S. population, but it isn't just limited to your head. We spoke with plastic surgeon Ben Paul, MD about the technological advancements that can even treat hair loss on your face. Hair loss is an issue that affects a large proportion of the U.S. population. An estimated 80% of men and 40% of women experience unwanted hair loss over their lifetime. While the causes of hair loss are varied, advances in treatment options mean patients are now able to address the source of the problem and improve their chances of success. These advances aren't just limited to the scalp, either. Treatments are now available that can address hair loss in other areas such as eyebrows and the beard area. Plastic surgeon Ben Paul, MD talked us through the treatment options available to address all aspects of this common issue. Causes of hair loss are varied, from genetics to outside stress factors and hormonal imbalances, and unwanted hair loss can occur and any stage of life. “I see patients aged between 20 and 80, but I also have older patients and others who are just in their teens,” says Dr. Paul. The specific cause of a patient’s hair loss will be determined by their practitioner after a conversation about family history, their lifestyle, and their personal history of hair thinning and hair loss. There are also slight differences between hair loss in men and women. Alopecia areata, a form of hair loss that occurs when a patient's immune system attacks the hair follicle. Hormonal imbalances including thyroid dysfunction. Nutritional deficiencies, such as anaemia and protein deficiencies. Exposure to high levels of toxins like mercury or selenium. The likely cause of hair loss needs established before starting treatment. Treatment plans begin with blood tests to try to identify any internal causes in addition to possible genetic factors. Once the tests are studies, a full-scale treatment plan can be created. The causes of hair loss in women are similar to those in men, the main culprits being hormonal imbalances and nutritional deficiencies. However, when it comes to eyebrows, some women seek treatment after over plucking their brows and noticing that the hair no longer grows back. The course of treatment that a practitioner suggests will depend on the root cause. If the cause of hair loss has a medical source such as a hormonal or nutritional imbalance, that issue will be treated before other options are explored to see if that is sufficient to encourage enough hair growth. Particularly for facial hair loss, treatments with Platelet Rich Plasma (PRP) and hair transplants are common in addition to topical treatments. Platelet Rich Plasma (PRP) is a treatment made famous by the Vampire Facial and is now used to treat a range of conditions, from arthritis to skin rejuvenation. In treating hair loss, PRP works by triggering dormant follicles to start producing healthy hair again. The option is generally considered a good option for patients who have developed patches of sparse hair. The treatment takes place in several stages. First a blood sample is taken from the patient and run through a centrifuge to separate the red blood cells from the platelets. The practitioner then numbs the affected area and injects the platelets with a syringe in order to stimulate the follicles into growing hair once again. The procedure is well tolerated by most patients and requires minimal anaesthesia. There is no down time and patients undergo treatment several times to achieve the desired final result. Dr. Paul suggests that patients should expect two to three treatments over the course of a year. With PRP, excess shedding of hair should decrease two months after the first treatment. After four months, thickening hair should be evident and new hair growth visible after six months post-treatmetnt. PRP treatment costs around $1,500 per treatment, but this figure varies depending on the area being treated and other factors. Facial hair transplants, including eyebrow transplants, are growing in popularity across demographics. “I do believe social media has a lot to do with it," says Dr. Paul. "People are now effectively carrying a mirror around with them all the time which would never have been the case in the past." Hair transplants are often suggested after other therapeutic options have failed to provide the desired results. A transplant is more invasive and costly than PRP, but offers excellent results for most patients. Facial hair transplants work the same way as the more common scalp hair transplant. Transplants are carried out by harvesting healthy follicles from a donor site. Surgeons will chose the donor area, generally on the back of the patient’s head, to ensure that the hair follicles that are collected look similar to the patient’s own facial hair. Incisions are then made in the recipient sites (the beard, moustache, or eyebrows) and the harvested healthy follicles are individually inserted. The process is repeated many times in order to ensure a natural-looking, full bodied result. Around two weeks after the procedure, the transplanted hairs will fall out which can be alarming to patients, but then new hair will begin to grow, usually between two and four months after the procedure. In the case of transplanted eyebrows, the transplanted hairs will not stop growing after seven weeks as they would if they were natural eyebrow hairs so patients will need to trim the transplanted hairs often to maintain consistency. There are a few restrictions that could limit suitability for a hair transplant, namely the lack of a suitable donor area. Your practitioner will be able to indicate if this treatment option is appropriate for your case and for the results you are looking to achieve. The procedure itself is carried out under local anesthesia and patients remain awake. The procedure can last a number of hours depending on the extent of the transplant area being treated. Recovery is generally straightforward. Patients will be able to work from home as soon as two days after the procedure and will be able to return to the office around a week post-surgery. Exercise generally needs to be reintroduced gradually, but your practitioner should discuss this with you ahead of the surgery. The cost of hair transplant surgery varies from around $3,000 to $7,000 depending on the area being treated. 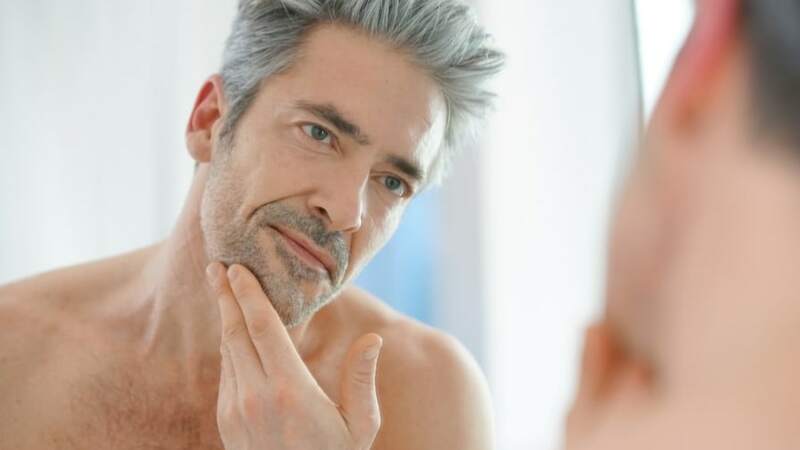 While PRP and facial hair transplants are the most extreme, there are a number of other treatment options if the cause of sparse facial hair or eyebrows can be attributed to certain causes. These include changes to your diet, hormone replacement therapy, topical creams or ointments, and vitamin supplements. Your practitioner will likely advise that you attempt to treat your hair loss with some of these options before undertaking more invasive treatment like PRP or transplants. Consulting a board certified cosmetic surgeon or dermatologist is the best way to ensure that you receive the most appropriate treatment for your specific needs.